Because we offer 100% professional hand car wash services along with quality vehicle detailing, you can be confident that we’ll give your vehicle the very best care. 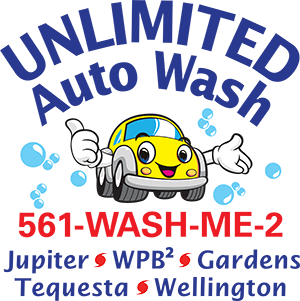 Come all month long for one low price with our Unlimited Wash Club- it’s a great value and a great way to keep your car looking great! Unlimited Auto Wash Club is more than just a Club for Members. We offer quality car wash services to all customers. Whether you are looking for a simple wash, a wax or complete detailing, Unlimited will give you top notch service at competitive prices. Local residents and vacation visitors alike love our prices and our service. Unlimited is second to none in Washing, Waxing and Detailing. Visit us today!